Be the Envy of Your Neighborhood Every Spring! 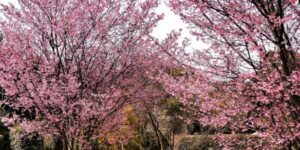 Also called a Japanese Flowering Cherry, the Kwanzan is easily one of the most dazzling and showiest of all cherry trees. 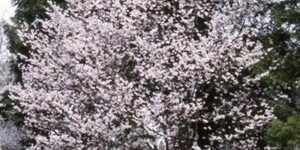 Positively stunning in the spring, the blooms are a clear pink, double flower. 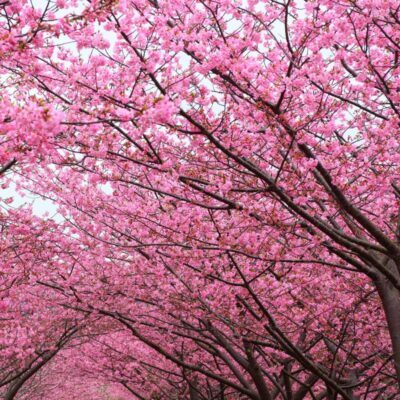 Huge clusters of carnation-like blossoms will be the envy of the neighborhood for weeks. 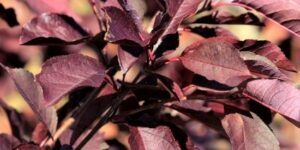 While it’s still in bloom your Kwanzan will start to grow young bronze leaves. As summer progresses the leaves will settle into a glossy light green with a slight red tinge making it a wonderful shade tree as well. 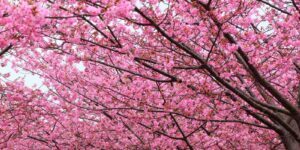 In the fall your Kwanzan will again become the center of attention when its foliage transforms from a cool light green to a brilliant golden-orange. 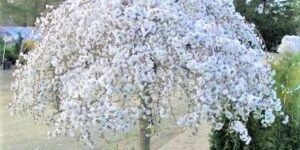 With twice as many blooms as other cherry trees it is the perfect choice as a dramatic focal point. 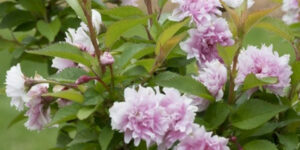 Planted around a deck or patio the Kwanzan Cherry Tree will create an enchanting outdoor living space. 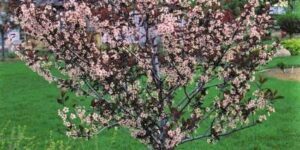 One of the hardiest and easiest to grow flowering trees the Kwanzan grows rapidly to a height of 20-30 feet, loves full sun and will thrive in most any soil. 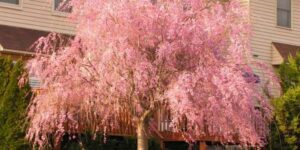 The Kwanzan Cherry Tree is a stunning, high impact tree that would be a great addition to any yard.